Click underlined text for full details and pictures. 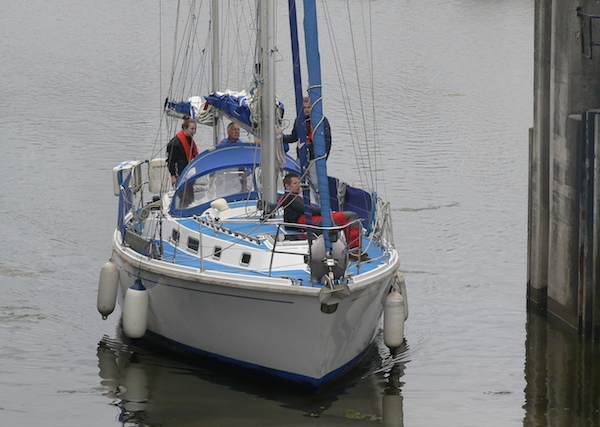 BLUE MAGIC 2001 Bavaria 42 Cruiser fractional sloop, 6 berths in 3 cabins, well found, serviced November 2017, on hard at Liverpool GB, ready for action. GBP 52,000. KISHORN OF ROSS 1980 Westerly Conway 36 centre cockpit cutter ketch, well found with recent survey after Mediterranean cruise in 2016. Afloat Liverpool GB ready for action at GBP 29,500. 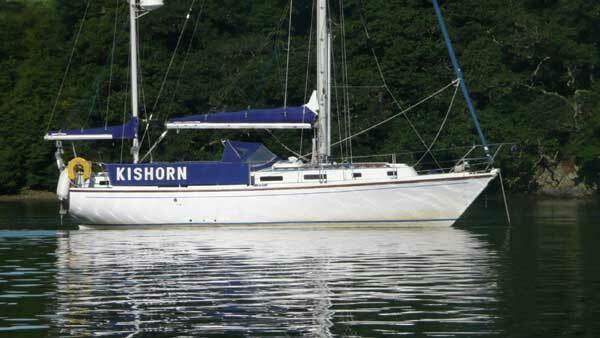 CHIRON 1979 Westerly Centaur 7.92m bilge keeled sloop, 5 berths in 2 cabins, 2006 Beta 20 diesel engine, Liverpool Marina GB. GBP 7,500 NOW SOLD. RED PEPPER 1978 Leisure 20, fin-keeled masthead sloop 4-5 berths in 2 cabins, clean and well found afloat at Liverpool Marina GB. GBP 3,000. LALERNE rare 1937 A.R. Luke Teal Class One Design sloop in pitch pine. Unfinished major refit on hard at Liverpool. SOLD FOR RESTORATION. Pictures and history.